Originally posted on the Orange County Government website. This article is reposted with permission. 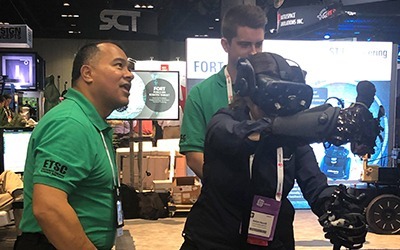 Orange County Mayor Teresa Jacobs and the National Center for Simulation (NCS) hosted the fourth annual Florida Simulation Summit on Sept. 6, 2018, at the Orange County Convention Center. The Summit continues to showcase the strong progress, synergy and development of the Modeling, Simulation and Training (MS&T) industry in Central Florida and statewide. This year’s event highlighted Digital Twin Technology and the Internet of Things (IoT) with a focus in virtual system simulations. Keynote speaker Bill Schmarzo, Chief Technology Officer IoT and Analytics for Hitachi Vantara, provided insight on Digital Twin Technology. His presentation focused on how a broad range of industries can effectively monetize their analytics and data to improve decisions, optimize their economies of scale and ultimately serve their customers better. Schmarzo emphasized that businesses need to understand that their analytics and data can improve sales and promotional effectiveness, marketing, consumer acquisition and retention. On a municipality level, he described how some cities are using roadway data and analytics to predict accident prone areas to improve response time and limit the impact accidents has on a region. Schmarzo is the author of two books, Big Data: Understanding How Data Powers Big Business and Big Data MBA: Driving Business Strategies with Data Science. With more than three decades of experience in data warehousing and analytics, Schmarzo is widely regarded as a leader in the field of intelligence transformation. The luncheon keynote speaker Fram Akiki, Vice President of the Electronics Industry at Siemens PLM Software, spoke on customized digital products and how that trend affects manufacturing and product personalization for consumers. Data and analytics collection assists automation and robotics which determines the way digital products are evolving. With the advent of increased connectivity and improving customer experience, devices are getting faster and smaller – which is also fueling the need for innovative digital transformations across all industries. “It’s not the strongest or smartest, but those that adapt to change that survive,” Akiki said. Other panelists included speakers from Atos Company, ANSYS, Inc., MathWorks, the University of Central Florida Institute for Simulation and Training, Kant Consulting Group, LLC, Universal Parks and Resorts, the City of Orlando, Real-Time Innovations, Siemens AG, BRIDG, the Center of Advanced Manufacturing and Innovative Design and PTC. Since 2012, Orange County and the NCS have partnered together to showcase the continuing progress, synergy and support for the MS&T industry in Central Florida and statewide. Waymon Armstrong, Chairman of Mayor Jacobs’ MS&T Blue Ribbon Commission, Mayor Jacobs and Florida Simulation Summit Chairwoman Beverly Seay provided opening remarks and introductions. President and CEO of the NCS, retired Air Force Lt. Gen. Thomas L. Baptiste provided the closing remarks at the Summit. Central Florida’s robust MS&T sector contributes more than $6 billion to Florida’s gross state product and directly employs more than 30,000 Floridians with an average annual salary of nearly $80,000. The Central Florida Research Park, located next to the University of Central Florida, is the epicenter of the MS&T industry and fosters collaboration, cooperation and partnership between academia, industry and government. 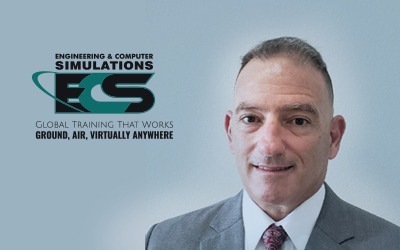 Central Florida continues to invest in the future of this high-tech, high-wage cluster, and we thank our partners, Simulation Summit sponsors and organizers for their continued support. By working with the County’s many industry partners — including Mayor Jacobs’ MS&T Blue Ribbon Commission and the Metro Orlando Defense Task Force, co-managed by the Orlando Economic Partnership and NCS, which consists of The Corridor, UCF, the Central Florida Research Park and the City of Orlando — Central Florida is investing in the future of this high-tech industry. Photo Caption: Florida Simulation Summit facilitators and panelists join Mayor Teresa Jacobs at the Orange County Convention Center on Sept. 6, 2018.